A court in Portugal cleared most of the defendants in a corruption trial on Friday linked to a government scheme granting so-called "golden" visas to wealthy foreigners, a case highlighting concerns over a controversial but widespread practice in Europe. Out of 17 indictments for charges including corruption, money-laundering and influence-peddling, two people were given suspended sentences and two Chinese nationals were fined. But the most high-profile defendant - Miguel Macedo, who was forced to resign as interior minister from the previous centre-right government in November 2014 - was among those acquitted of bribery and influence-peddling charges. "The acquittal is the logical result from the lack of evidence to support a baseless accusation," said his lawyer Alfredo Castanheira Neves. The Lisbon court also cleared former border police director Manuel Jarmela Palos, who was accused of running a network which profited from the granting of the residency permits to foreign investors. Cash-strapped Portugal in late 2012 began offering the "golden" visas to wealthy foreigners willing to invest €500,000 in property, make a capital transfer of €1 million or create 10 jobs. The country handed out 6,800 such permits to investors and 11,600 more to their family members in exchange for €4.15 billion in investments, most of it in real estate. China was the country with the largest number of beneficiaries of the scheme followed by Brazil. A number of European governments offer passports or residency rights in exchange for investments. In analysing the schemes in Cyprus, Malta and Portugal for a recent report, Transparency International and Global Witness noted "the ways in which insufficient due diligence, wide discretionary powers and conflicts of interest can open Europe's door to the corrupt". One of the most critical voices of the practice in Portugal, Socialist MEP Ana Gomes said she was "disappointed but not surprised" by Friday's ruling and blamed the prosecutors office for making a weak case. "It is a perverse scheme and a prostitution of citizenship which... fuels corruption by feeding a whole network of intermediaries," Portuguese Socialist MEP Ana Gomes told AFP. "It is intolerable to hear some security discourses about migrants and refugees, and then to see that the discourse changes completely when it concerns wealthy foreigners," she added. 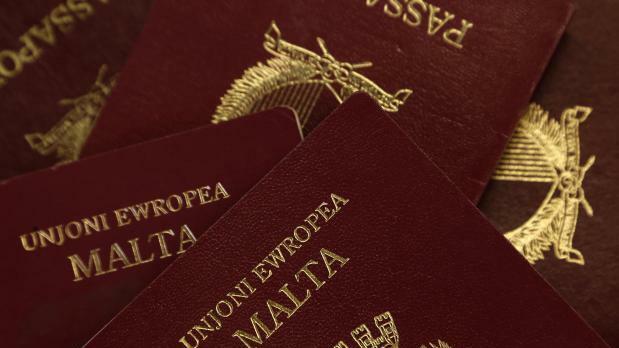 In their report published last October, Transparency International and Global Witness said four EU countries - Austria, Bulgaria, Cyprus and Malta - "sell" passports to wealthy investors, while 12 offer them residency rights. Spain tops the list of countries in terms of the number of visas issued and the amount of capital received -- an average of €976 million annually. In total, European countries pulled in €25 billion from 6,000 new citizens and some 100,000 residents over the last 10 years, the report from the two NGOs said. "Just like a luxury good, European Union citizenship and residency rights can be bought," it said. "There are many buyers, and there is no shortage of suppliers, which explains why investment migration is a growing, multi-billion-euro industry." As part of an effort to combat money-laundering, the European Commission is to present a report early this year on national schemes granting EU citizenship or residency to investors.